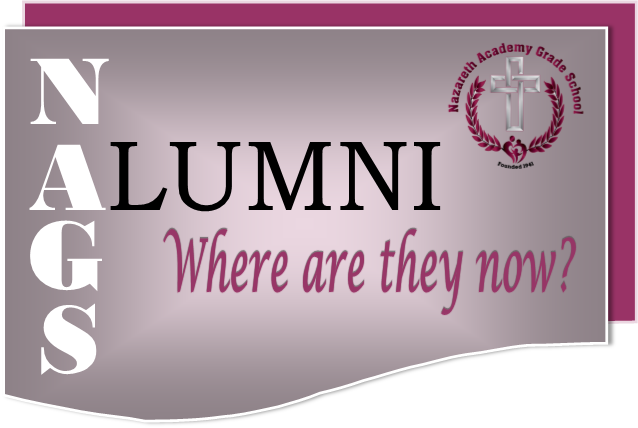 CLICK HERE TO PARTICIPATE IN OUR ALUMNI UPDATE! 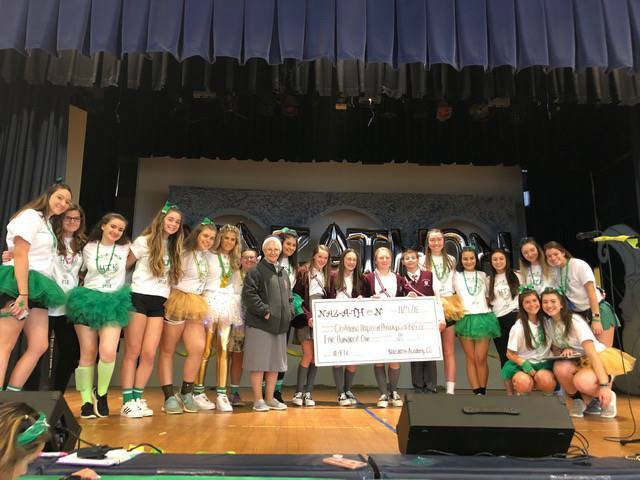 At Nazareth Academy Grade School, we take great pride in the accomplishments of our alumni and the strong connection between our school and its former students. If you are a NAGS alumni, or have attended NAGS, please keep us up-to-date by filling out this quick update. Whether you are in high school, college or have a career, your participation is greatly appreciated. We are so proud of our graduates and feel it is very important to share and celebrate their accomplishments with our school community. Thank you in advance for keeping in touch with the NAGS Family! CONGRATULATIONS TO THE CLASS OF 2018 IN EARNING $370,000.00 IN HIGH SCHOOL SCHOLARSHIPS! For a full list of Graduates' awards, please click here. ALUMNI: IF YOU ARE PLANNING A REUNION OR MEETING OF YOUR CLASSMATES, PLEASE NOTIFY US AND THE INFORMATION WILL BE POSTED ON OUR WEBSITE! As always, we look to our alumni to help promote the school! Please encourage your family and friends to visit the school and/or register a child for First Grade Admission Test. To inquire for placement in other grades, please call the Main Office, 215-637-7777, for an application or click the online application link. A Shining Example of Student Success! THE EITC/OSTC PROGRAMS: YOU CAN HELP! The EITC Program (Educational Improvement Tax Credit) provides Pennsylvania businesses with a 75% tax credit for donations made to NAGS through the Holy Family Foundation. The tax credit increases to 90% if the company commits to make the same donation for two consecutive years. Businesses must apply online at www.newPA.com using the DCED Single Application for Assistance. The EITC offers children and families the choice of a Catholic education at NAGS! Pen and ink drawing of N.A.G.S.